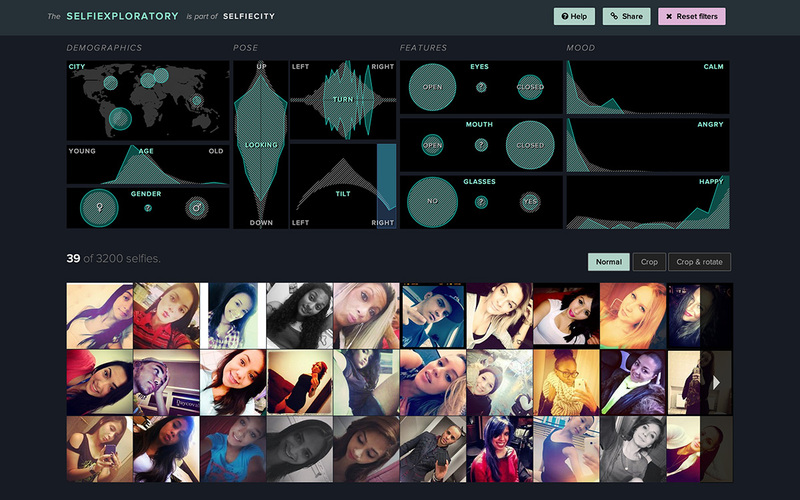 Our project selfiecity has received Golden Award from 2014 Information is Beautiful competition. Selfiecity is a collaboration between the outstanding team of data visualization designers and programmers - Moritz Stefaner, Dominicus Baur and Daniel Goddemeyer - and five members of Software Studies Initiative. The collaboration was a great experience for us. Everybody worked hard. Moritz was the heart of the project designing data visualizations and the web site and making sure all pieces come together. Amazingly, Moritz's another recent project OECD Regional Well-Being received the Silver Award in the same competition. Bravo, Moritz!